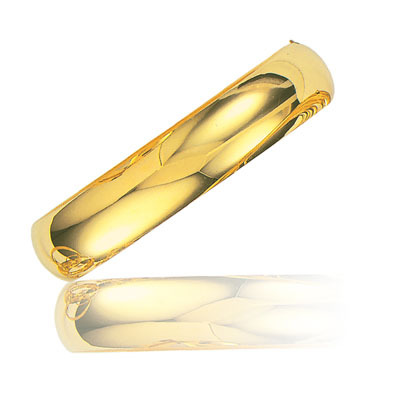 This fabulous Classic Bangle is accentuated in 14K Yellow Gold. Approximate Gold Weight: 18.50 Grams. An elite bangle designed to flatter your hand.